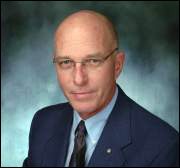 Program Director | Kassel Group, Inc.
Kassel Group Founder and President Robert Meier, CO, (ABC #3818) is a 30+ year veteran in the field of orthotics education. He has presented at numerous venues across North and South America, Austalia, and Europe on subjects ranging from cervical orthotic management to spine biomechanics to lower extremity and gait biomechanics and rehabilitation. He has been awarded six US patents and has authored clinical manuals and journal articles relating to therapeutic exercise and orthotics. His passion is to further the educational processes that deal with orthotic intervention at all levels, and in doing so to focus more on basic scientific principles and medical evidence than on specific brands of products.